Mark a special occasion with a cake that is out of this world. Heather’s Cakes specialise in catering and cakes for weddings, birthdays, bridal showers, baby showers, engagements and events. If you can dream it we can do it. Brides, have the wedding cake you have always wanted. Bring along your ideas and our baking experts will bake a cake to any design and to fit your wedding theme. Whether it’s plain, elegant or elaborate, Heather’s Cakes has years’ experience in creating masterpieces to our customer’s liking. Our range of cakes include traditional fruit, red velvet, Bar One, chocolate, coffee, lemon curd, marble, caramel and Madeira cakes. If you are planning a superhero-themed party and need a cake, we can make Superman, Batman, Spiderman and other heroes come to life with our creative cakes. If you need a sport-themed cake, we can do a sports jersey decorated cake too. Novelty cakes never looked this good! Cupcakes are no ordinary affair at Heather’s Cakes. Our team will bake and design cupcakes that will wow the crowd. 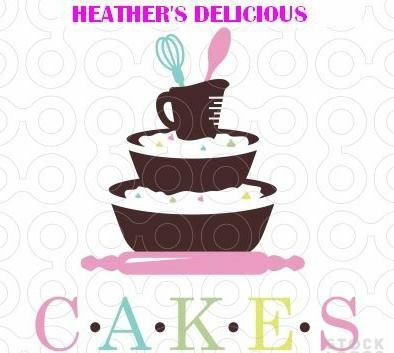 Heather’s Cakes uses top quality ingredients that will deliver the best results. We guarantee that everything will work together to ensure your occasion is a success for you and your guests. We aim to please our customer’s by baking delicious, great-looking cakes every time. We provide professional, efficient and excellent service. Our cakes will leave a lasting imprint in your memory whatever the event. Call Heather’s Cakes today to bake your dream wedding cake or cake for your special event.